Austria has become the latest country in Europe to see voting for far-right parties bolstered. In the elections held on October 15th, the populist Freedom Party (FPO) achieved its best result ever, with 26% of the vote. With an anti-immigrant and anti-establishment stance, the nationalist party’s share of the vote was only bettered by the right-wing People’s Party (OVP), which achieved 31.5% of votes. Just 31 years old, People’s Party front-runner Sebastian Kurz will become the world’s youngest ever national leader, likely to form a coalition supported by the Freedom Party. As the country swings to the right, rhetoric from the People’s Party candidate is not so distant from the xenophobic message spread by the far right party and has proved effective in gaining votes. Founded in 1956 by former Nazis, the FPO had maintained a modest but steady support in Austrian politics until the 90’s, usually achieving less than 10%. The 2015 refugee crisis (when 90,000 Syrian refugees entered the country), however, boosted its popularity. But it was not just the far right who scapegoated immigrants for the country’s problems. The growth of the Freedom Party led Kurz to follow suit in campaigning on racist populist ideas, particularly on immigration issues. During the election campaign, the People’s Party announced restrictions on immigration and a stricter stance on crime and terrorism. As a foreign minister in the previous Government, Kurz had already closed the Austrian border to refugees in 2016 and passed an Integration Act in 2017 banning the full-face veil. Apart from the expected xenophobic measures, the new coalition is also likely to adopt neoliberal and anti-welfare reforms characterised by its support for free market economics. Both the Freedom Party and the People’s Party have announced plans to cut public spending on social benefits, introduce more flexible labour legislation and cut corporate tax rates. At the same time, they are likely to deepen authoritarian measures such as curtailing the right to protest or controlling public broadcasting. After the rise of far-right parties in recent European elections in countries such as France (21%), the Netherlands (13%) or Germany (13%), we continue to observe a worrying shift of far-right parties towards the mainstream. 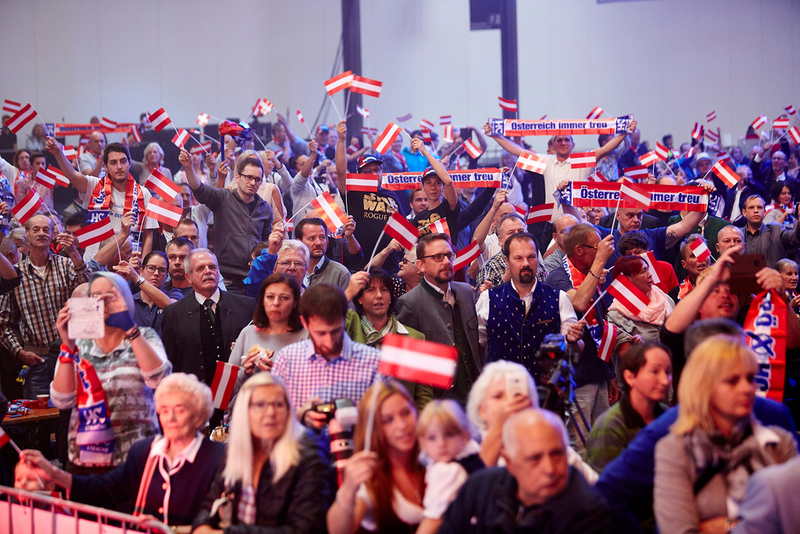 After an initial prudence in involving such parties in government coalitions, the case in Austria, nevertheless, paves the way for extreme right parties to be included in governance, a path in contradiction with European values ​​of tolerance and solidarity. Unfortunately, although with some exceptions, the rising wave of extreme nationalist populism does not yet show signs of crashing.